Anna Kleiner, who is executive director of United Way, presented a fascinating program about the role of American nurses serving in Europe during World War I at the regular meeting of the St. Francois County Rotary Club on September 8. 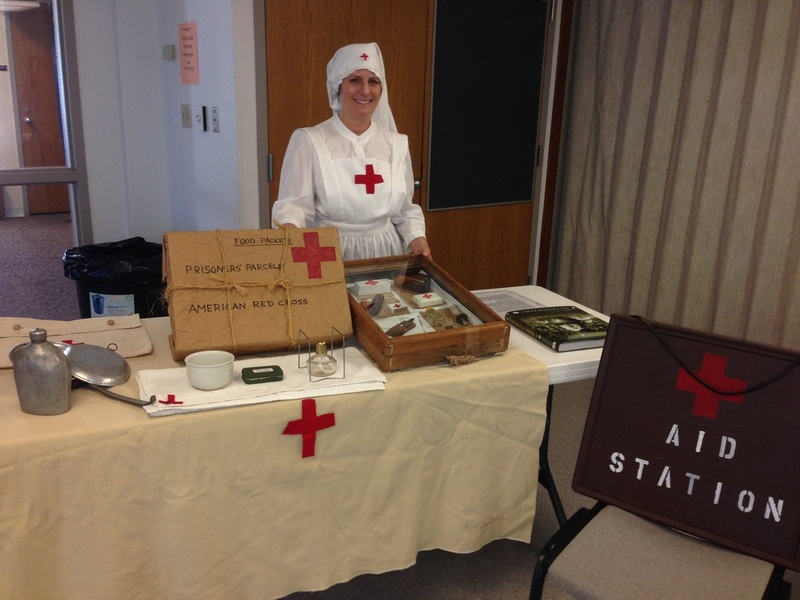 Dressed in an authentic nurses' outfit used by Red Cross workers at battle zones during the war for her presentation, she noted that more than 10,000 nurses volunteered to join the Army Nurse Corps and go to Europe soon after the United States joined the war on the side of the Allies in 1917. Because of widespread devastation caused by the fighting, American nurses also provided much needed medical assistance to area civilians trapped in combat zones. In addition, American nurses helped assemble and deliver "care packages" for U.S. prisoners of war who were captured by the Germans. Kleiner noted that since the war started 100 years ago in 1914, many books have been published about that conflict which claimed millions of victims. Among these publications are a few that deal with the topic of U.S. war nurses. From some of that literature she gleaned a knowledge of how nurses lived under combat conditions and also what kind of equipment and supplies were issued to them. Some of the most interesting books she read included diaries of nurses who were involved in the war. Fascinated with the topic, Anna has attended several World War I re-enactment events, where she was able to obtain a number of nurse-related items, many of which she displayed at the Rotary Club meeting. She noted that compared to the abundant supply of World War II military gear that is sold at re-enactments, relatively few collectibles are available from The First World War. Sadly, she noted that among the major causes of death of American soldiers during the war was the influenza epidemic which was rampant around the world at that time. She noted that about half of all American soldiers who came down with the disease did not survive.